They come from all over the place, they are actors, musicians, race car drivers, politicians – or all of the above – and they have one thing in common… they all have a deep appreciation for wine and winemaking. Oh and money… they all have money. As a matter of fact, they have enough to own their private vineyard and make their own wine! They are celebrities. They once shared a dream and turned it into a reality. They temporarily put their professional life on the sidelines to simultaneously work in the vineyards… THEIR vineyards. In no specific order, here are four of the most notorious celebrities that engaged in and contributed to the world of wine. 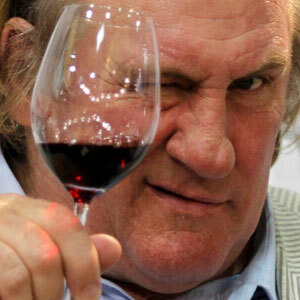 1 – French movie star Gérard Depardieu has been in the wine business for 30 years, though I hear he might be converting his winemaking skills to those of making Vodka [wink]. His ventures have included vineyards in the Côte de Nuits located in the northern part of the Côte d’Or, a subregion of Burgundy, Condrieu in the Rhône Valley and Spain, where he makes a Tempranillo called Spiritus Sancti Toro. He also owns vineyards in Algeria, Morocco, Argentina and the United States. His wine ranges from $20 to $60 a bottle. It is rated from 91-93 points by none other than the original Wine Advocate himself, Robert Parker. 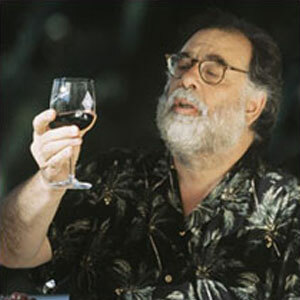 2 – Francis Ford Coppola is perhaps the most famous celebrity winemaker. The successful movie director purchased a substantial vineyard property in 1975 (following The Godfather: Part II) and recently merged the Niebaum-Coppola and Inglenook wineries under the ‘Rubicon Estate’ title. In 1999, he created the ‘Sofia’ wine as a tribute to his only daughter Sofia. In 2006, the Coppola’s purchased the former Chateau Souverain winery facility in Geyserville (Sonoma County, CA). In the following four years, the Coppola wine family grew from 12 to 45, highlighted by four brands dedicated to showcasing Sonoma County vineyards: FC Reserve, Director’s Cut, Director’s and the Diamond collection). Copolla’s wine prices range from $9 to $140. 3 – Hollywood starlet and winemaker, Drew Barrymore launched her own Pinot Grigio in 2011. Made by the Decordi Winery from grapes grown in the Triveneto area (northeast corner of Italy below the Alpes), Drew’s wine features a “fruit-forward finish laced with candied grapefruit” and won a gold medal at “Le Challenge International du Vin” in France. Suggested price is $19, and a portion of the proceeds from the purchase of this wine will benefit charity. If her winemaking career takes off like her movie career did, it’s pretty safe to assume she will do very well. 4 – This just in! – Brad Pitt and Angelina Jolie are due to release their own wine some time this year. The first wine will be a 2012 vintage pink rosé, and it will feature the label “Bottled by Jolie-Pitt and Perrin.” Marc Perrin, a well-respected winegrower in the winemaking circles of France, and the Hollywood “power”couple will also create a line of organic white and red wines. In the meantime, the rosé will feature an elegantly shaped bottle with a round label. It is also due for review in an upcoming edition of Wine Spectator. As for Pitt and Jolie’s involvement, Perrin told French business magazine Challenges, “We talked a lot and did the first harvest together. They are very demanding in seeking excellence in the quality and character of their wine.“ This celebrity superstar rosé currently sells for about $30 a bottle. 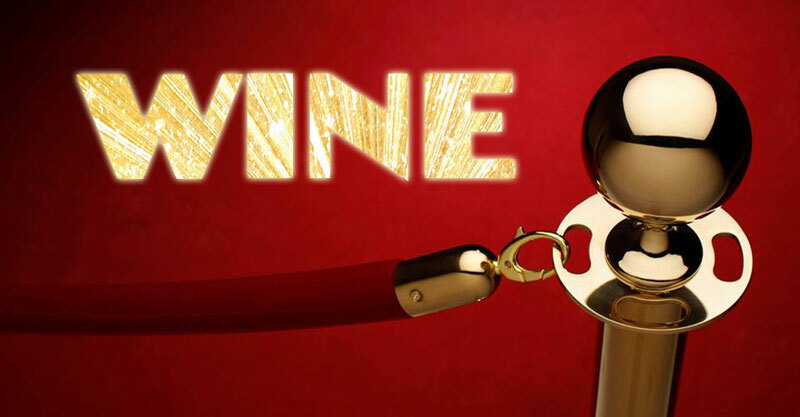 [NOV. 20TH UPDATE] – Brad Pitt and Angelina Jolie just added another award to their growing mantel filled with Oscars, Golden Globes and SAG Awards – only this time, the honor is for wine. The dynamic duo’s Château Miraval Rosé 2012 was ranked number 84 among Wine Spectator’s Top 100 Wines of the Year, making it the “best Rosé in the world,” according to a new press release. Wine Spectator Managing Editor Kim Marcus called the rosé “Refined and elegant, offering pure and concentrated flavors of dried red berry, tangerine and melon. The focused finish features flint and spice notes, with a hint of cream.” Back in March when the wine was first released, all 6,000 bottles sold out within five hours.